This two-step peeling system contains a complex of alpha and beta hydroxyl acids, including glycolic, lactic, mandelic, citric and salicylic acids in a gel formula which gradually releases the active ingredients into the skin, depositing a minimal concentration with less risk of side effects such as irritation. 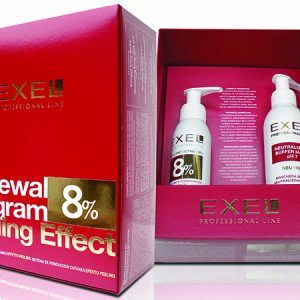 The peeling program is formulated with a unique gel-like matrix to induce an even and safely controlled micro-exfoliation of the skin. 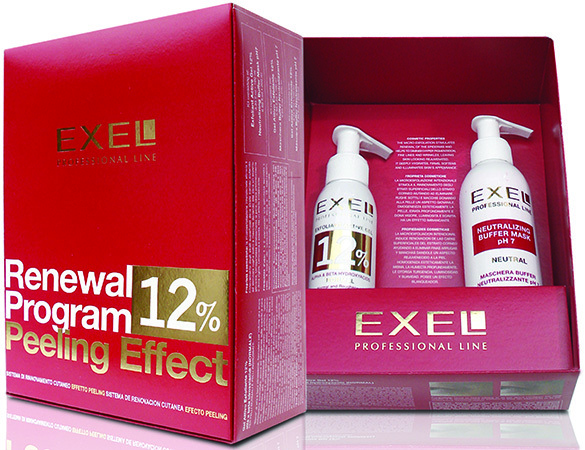 After the peeling program is removed, the treatment is completed with the application of a Neutralising Buffer Mask to bring the skin to its natural pH balance, which contains Bisabolol liposomes for calming inflammation, Niacinamide to inhibit melanin release and Vegetable DNA for healing and deep hydration. The micro-exfoliation stimulates the renewal of the epidermis and helps to diminish pigmentation, fine lines and wrinkles, leaving the skin looking rejuvenated. It deeply hydrates, firms, softens and illuminates the appearance of the skin while at the same time, evening out the complexion. 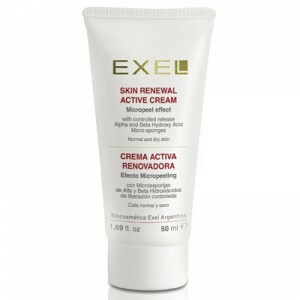 Due to the gentle formula of the Exel Skin Renewal Program, the treatment can be combined safely with a microdermabrasion to further induce the peeling of dead skin, oxygen infusions for a deep hydration and other advanced facial applications. It is available in two concentrations, 8% and 12%, which do not have any downtime post-treatment and can be safely used on deeper skin tones. Sun Protection with a minimum of SPF30+ is always recommended while undergoing treatment. Reapply sun protection regularly as needed.